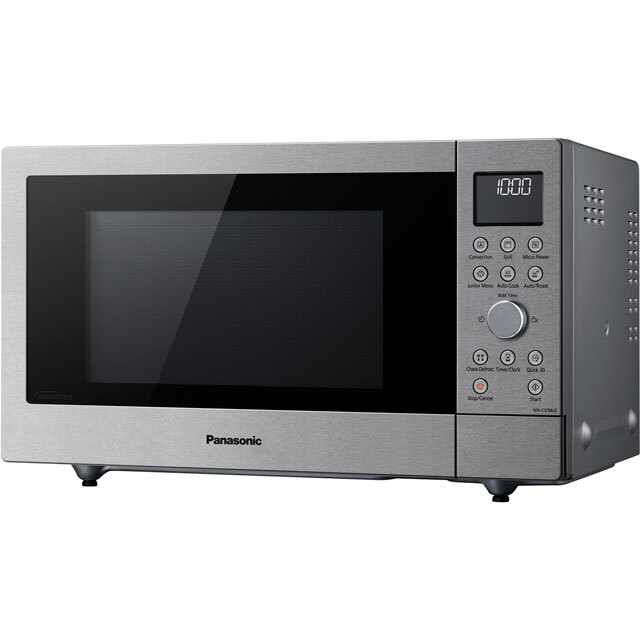 You won’t need to turn on your oven to cook delicious meals thanks to this 23 litre microwave from Panasonic – it’s the perfect size for small households. 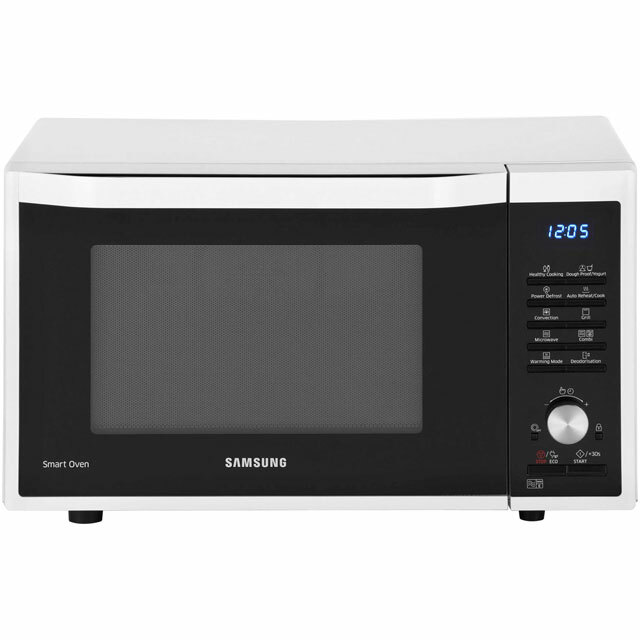 With 1000 Watts of power, it’s capable of cooking everything from your Sunday roast to a simple jacket potato. There are 16 Auto Cook functions to choose from, each one tailored to cook a different type of food to perfection. And the Defrost setting means you have a quick way to thaw food safely and hygienically when time isn’t on your side. 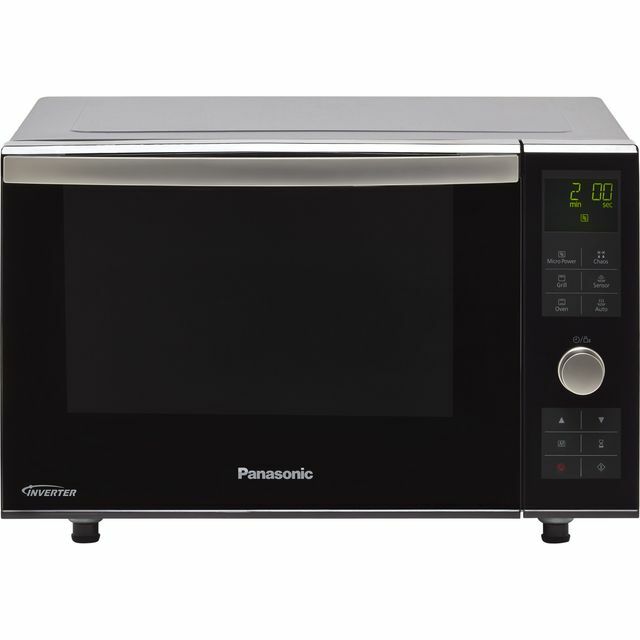 I've had combination microwave ovens before and stuck with Panasonic due to its great quality. It's a bit weird with the flatbed version as there's no microwave turntable so you just put the item in the oven and it doesn't move! This is a much quieter, compact version of my previous ones and I'm really pleased with it. Would highly recommend both the product and AO - especially as they are the few companies who provide a recycle service which is essential to me. Prices are a tad higher, but given the reliability; quality; recycling, I'm willing to pay a bit more to a good company. The delivery men are also efficient, cheerful and not prone to deep sighs and moans which can be a recurring theme from other companies - well done! Fantastic microwave! My mom had one when I was younger, it lasted years and years. She had a few new ones with a new kitchen non lasted very long now she's back to a Panasonic and I have followed suit. Great microwave! The oven was a replacement for a much older model that sadly died. The new features are a pleasure to use. 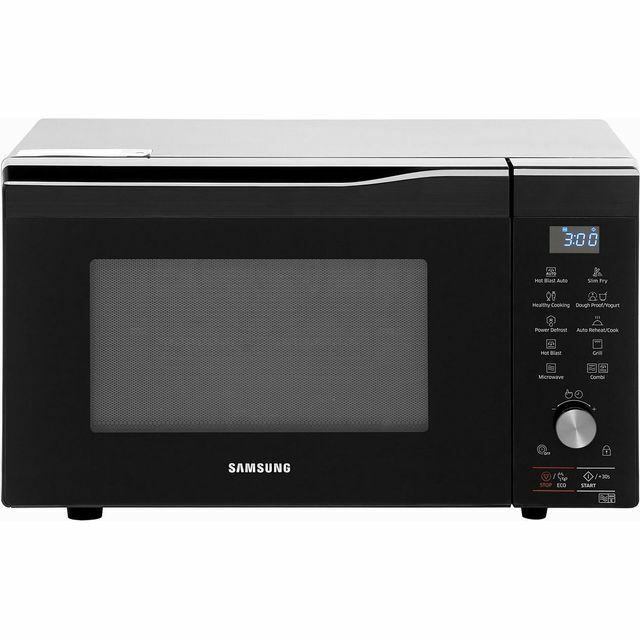 First flatbed microwave oven I've owned, looked good on paper. 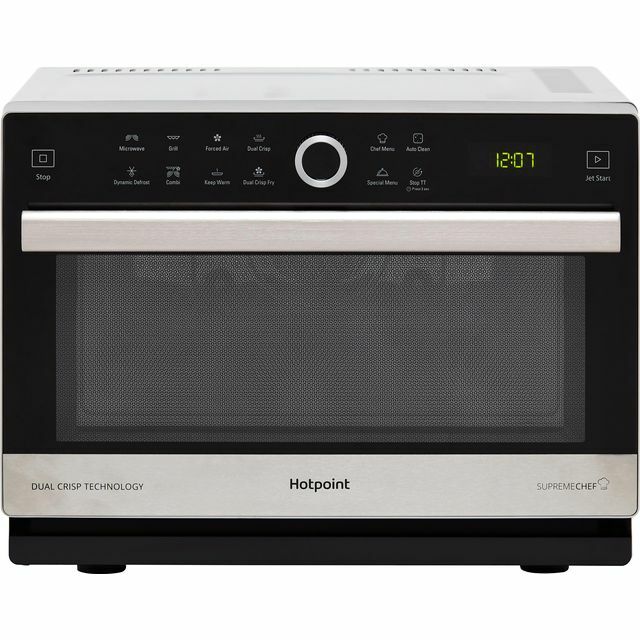 Microwave overcooks on one side and takes long to cook. The conventional oven takes longer to cook food than my last one. The controls are dark and difficult to see. I've only used the grill once work fine. Overall, disappointed. I bought this to replace our old Panasonic which we';d had for quite some years. It was slightly larger than the new one, but I'm finding this one absolutely ideal. It's so quiet, that at times I even forget it's on, which is quite something. It fits even more snugly into the place where the larger one had been, and it also looks extremely smart. Have used all the functions and as most of the instructions are similar to the previous one, it's been a very easy transition. I am more than satisfied with this excellent product. It is really living up to my expectations. Clean and efficient with easy to use settings I found this Combination Oven everything it was advertised to be. A good instruction booklet, easy to follow recipes and advice on usage. A great purchase.